Pro-Russian militants targeted Tonenke close to Avdiyivka. None of Ukrainian troops has been killed but four have been wounded in the antiterrorist operation (ATO) area in Donbas over the past 24 hours. 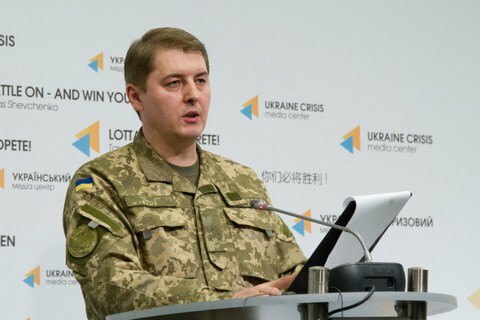 As a result of a militant fire attack on Tonenke close to Avdiyivka, Donetsk Region, one civilian was killed, the Ukrainian Defence Ministry's spokesman for ATO issues, Oleksandr Motuzyanyk, has said at a briefing. After a long pause, Tonenke came under artillery fire. The militants fired 17 shells with 122-mm cannons on the town. Over the past day, 12 November, the Russian occupying troops launched 64 fire attacks on the positions of the ATO troops. There were 15 attacks in the Luhansk sector, six in the Donetsk sector and 43 in the Mariupol sector.